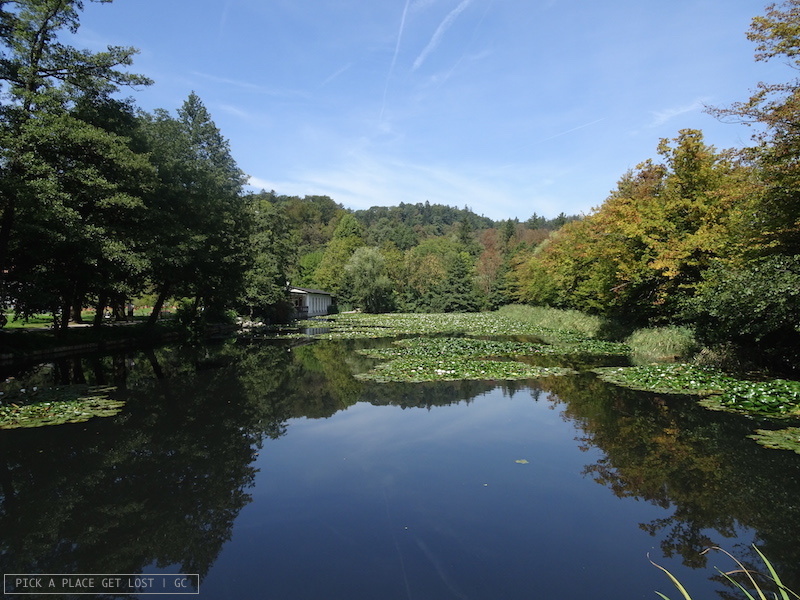 Okay, I know that at the end of the previous post I said the next one would be all about Bohinj, Bled and Vintgar. 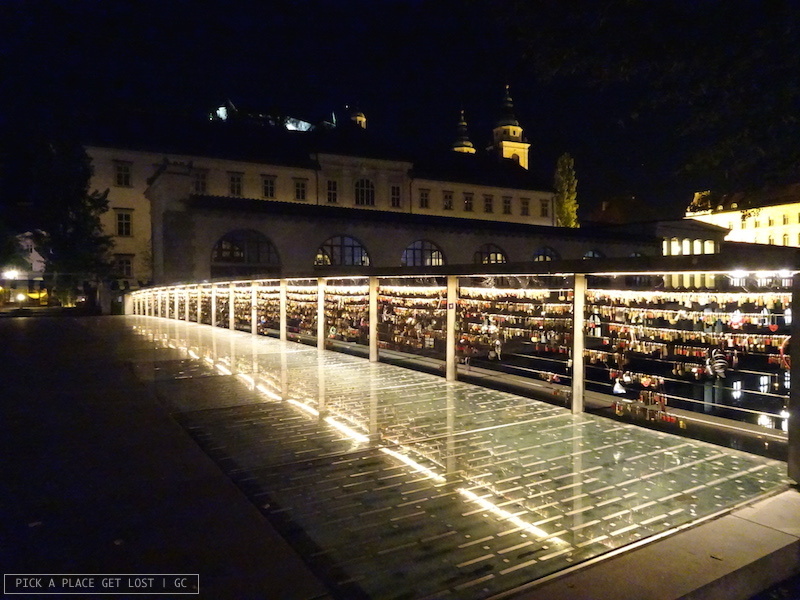 Well, as the title of the post clearly suggests, we’re talking about Ljubljana instead. 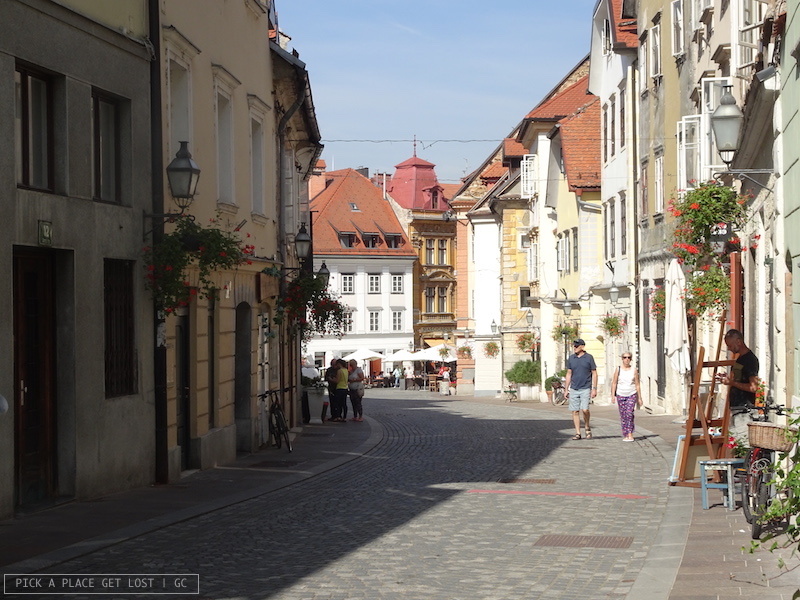 I didn’t meant to create false expectations or disrupt the (relatively) orderly plan I made when I drafted a sequence of Slovenia-themed posts. I did start writing about the lakes. 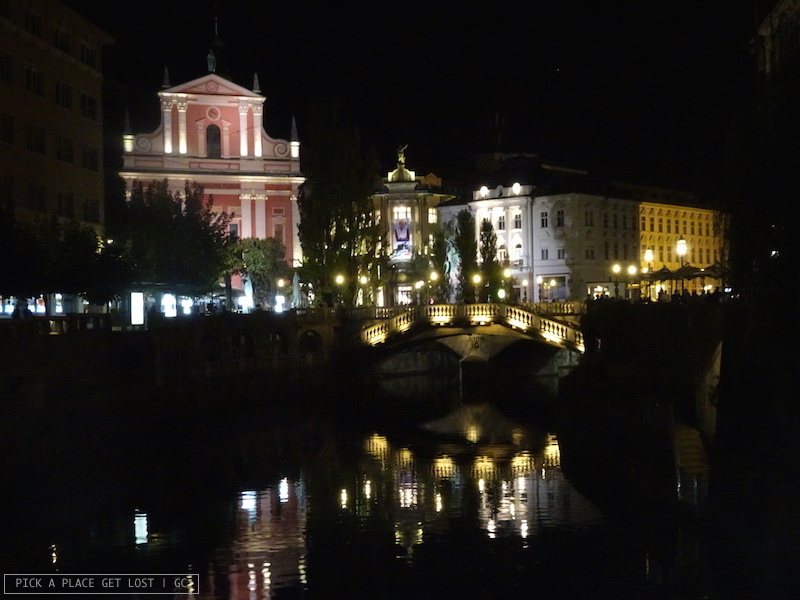 Then I came across the Ljubljana folder of photos I took while I was there. 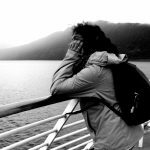 When I went through them (again), I felt I really wanted to write about it straight away, hence this post. 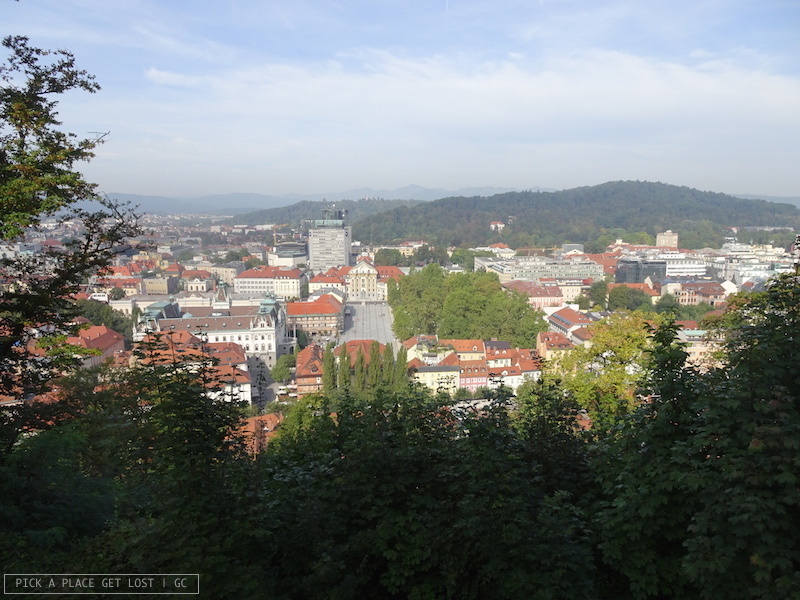 I had no expectations whatsoever about Ljubljana when I visited it. I knew next to nothing about it, nor were I at all familiar with the highlights or must-see places in the city. Ljubljana’s unique, authentic charm caught me completely off guard. I found it truly enchanting. 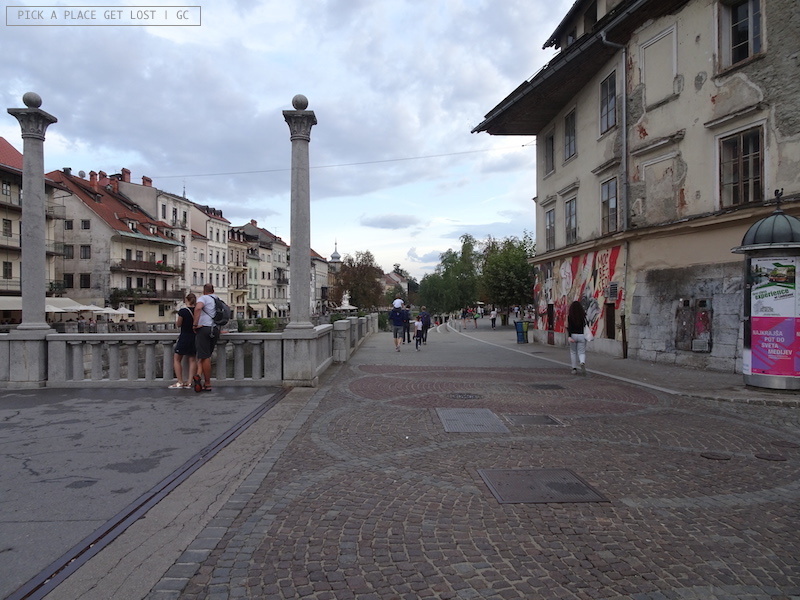 We got to Ljubljana from Maribor around 6pm. We were going to change trains in some nondescript Slovenian village called Pragersko. There we ended up spending a good couple of hours, as our second train (to Ljubljana) had a huge delay. In fact, we ended up boarding a replacement bus at some point. If we hadn’t gone for the bus, I believe we’d probably still be in Pragersko waiting for the train, and it would be the end of this post. From Brno to Maribor we’d travelled by bus overnight, so by the time we reached the capital we hadn’t slept in almost 36 hours. It was too early to go straight to our hostel, which happened to be nowhere near the city centre anyway. Exhausted as we were, if we’d gone straight to our hostel we’d have collapsed on the bed till the next morning. We headed to the centre instead. 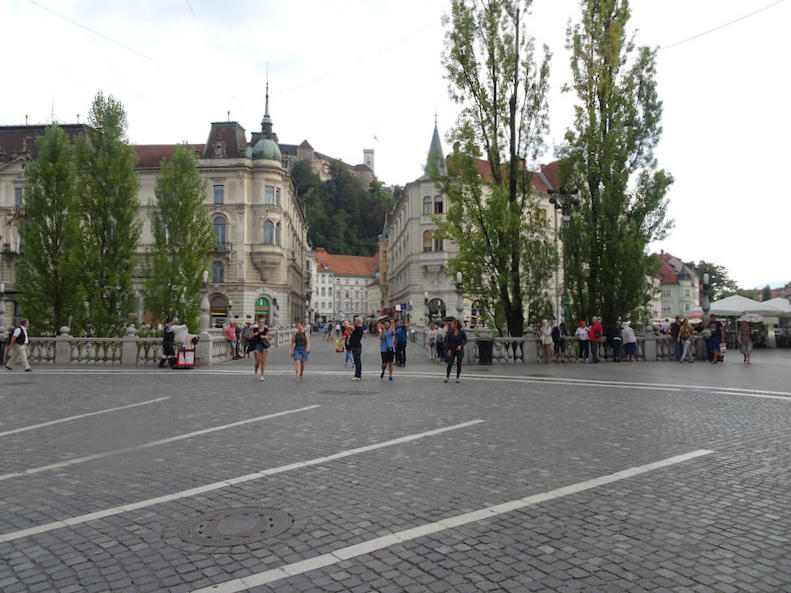 As we were about to enter the main square (Prešernov trg)… It started raining. First hard. then HARD. We hurried toward the Tourist Centre, looking for a shelter (and a city map, while we were at it). A few minutes later the rain stopped, and we got out, finally managing to take a good look around. Ljubljana and I clicked the way two people click when they meet for the first time, and they both feel like they could talk nonstop for hours on end, yet they’d never run out of topics of conversation. You can’t explain it, it just happens. 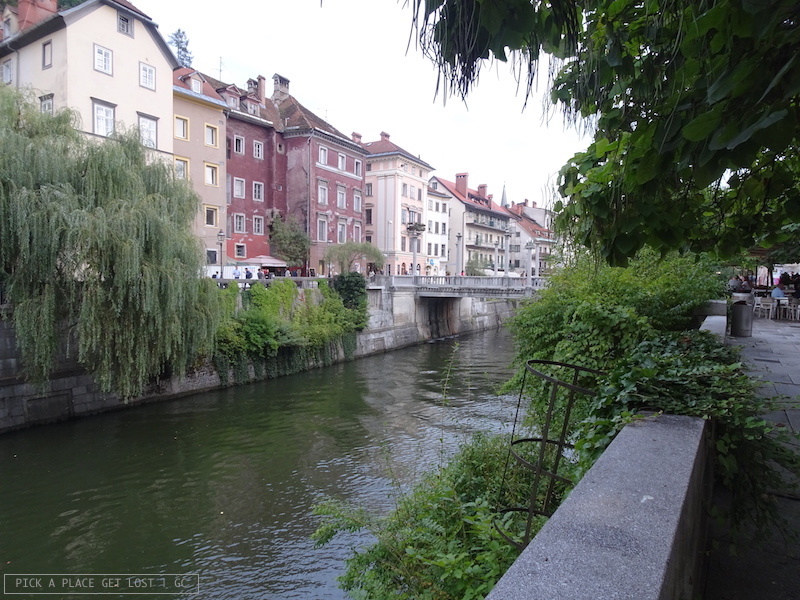 I could walk Ljubljana city centre nonstop for hours on end, yet I’d never tire of its side alleys and river views. 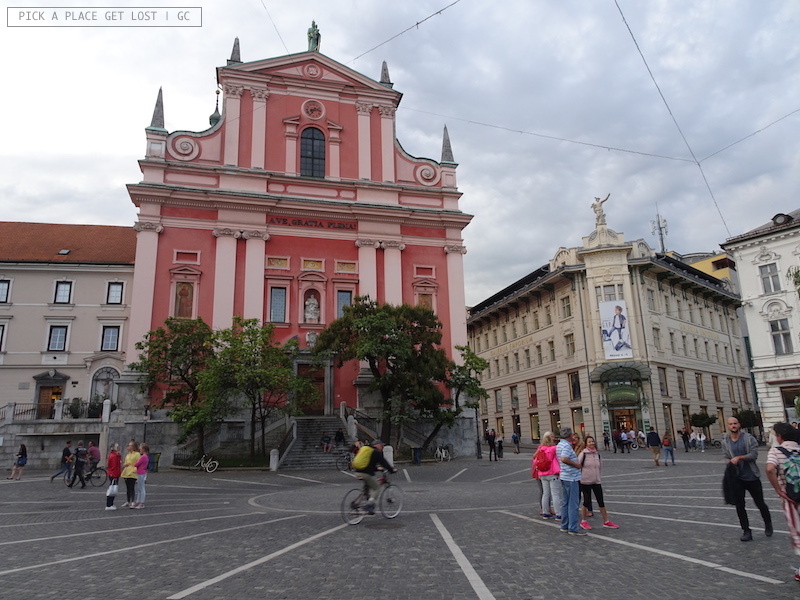 So these are the Ljubljana spots and sites I will be (kind of briefly) talking about: Prešeren Square (Prešernov trg), the riverfront, a few highlights around the centre, the castle, and a few other extras. Situated just by the river, it displays multiple architectural styles, while at the same time maintaining a composed elegance, sumptuous, yet not flashy or ostentatious. – The Triple Bridge (Tromostovje), which… Oh it’s SO beautiful. It’s one of the most unique spots in the whole square. It was originally built as a single bridge (now the span in the middle), while the two side bridges and the stone balustrades are later additions which, if you ask me, kind of make it look like something between a fan and a shell. 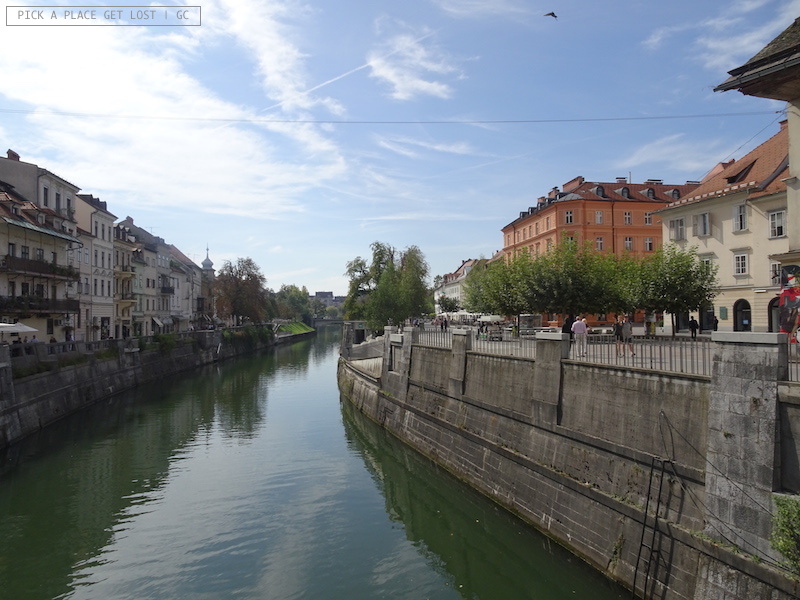 Ljubljana is big on river views. The riverfront is one of the most popular areas in the whole of the city and, trust me, once you’ve been there you will see what I mean. The two riversides are poplar-lined terraces framed by buildings in all colours, patterns and styles. I love how all of them look ‘old’, somewhat worn out, the opposite of freshly painted or renovated. It’s as if you could ‘see’ their story on their peeling paint and dirty façades. I’m so in love with this kind of urban landscape. 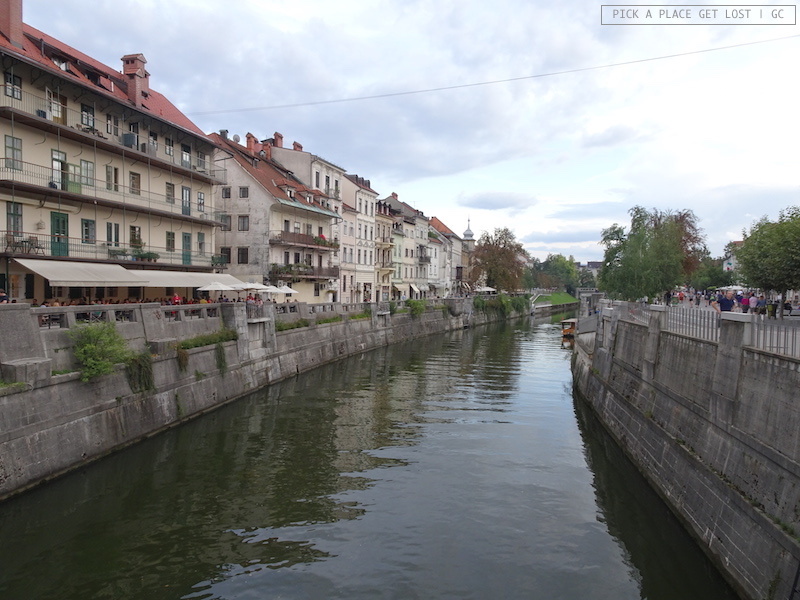 Also, both sides of the Ljubljanica river consist of seemingly endless rows of bars, restaurants and cafes. They come in all kinds, styles and colours, and they attract large crowds of locals and tourists at all times of day and night. The two evenings we spent in the capital we couldn’t help but spend walking back and forth down the riverfront multiple times, also meandering around the bundle of alleys and side streets in the vicinity of the river. There is something really special about it. 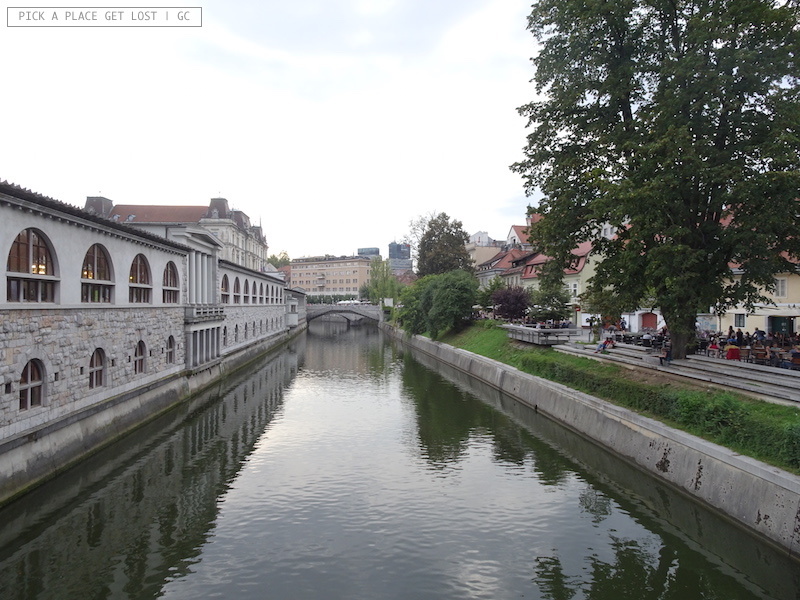 ‘River’ obviously rhymes with ‘bridges’, of which Ljubljana has its good share. Aside from Tromostovje, there’s a few more you want to see. Going from north to south, the first one is Dragon Bridge (Zmajski most). The dragon is a symbol of Ljubljana, so of course there are several dragons scattered here and there across the city. One of them sits at the top of the town hall, others you find here and there along the riverfront, and a few winged dragons ornate both ends of the bridge named after them. The second one is Butchers’ Bridge (Mesarski most), a footbridge with a wooden walkway and iron balustrades entirely covered in padlocks. 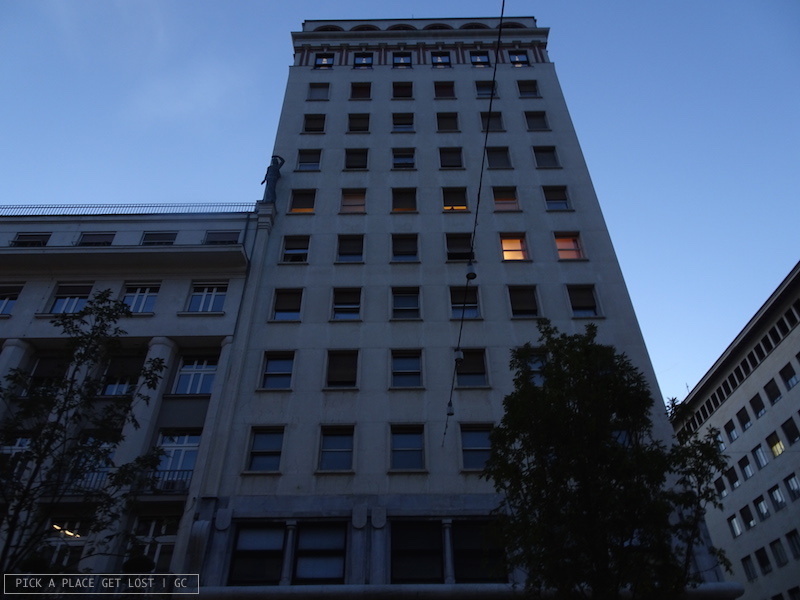 Its location is perfect, though, and I would recommend that you see it both in the daylight and at night. It’s also very close to the Central Market. 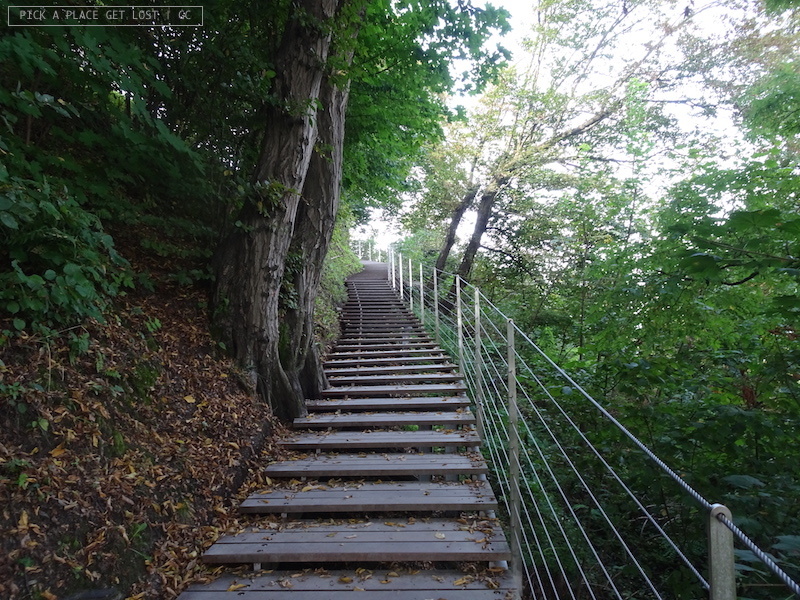 The third and last must-see bridge is Cobblers’ Bridge (Čevljarski most). In the Middle Ages it was populated with craftsmen who used the bridge as a place for trade. 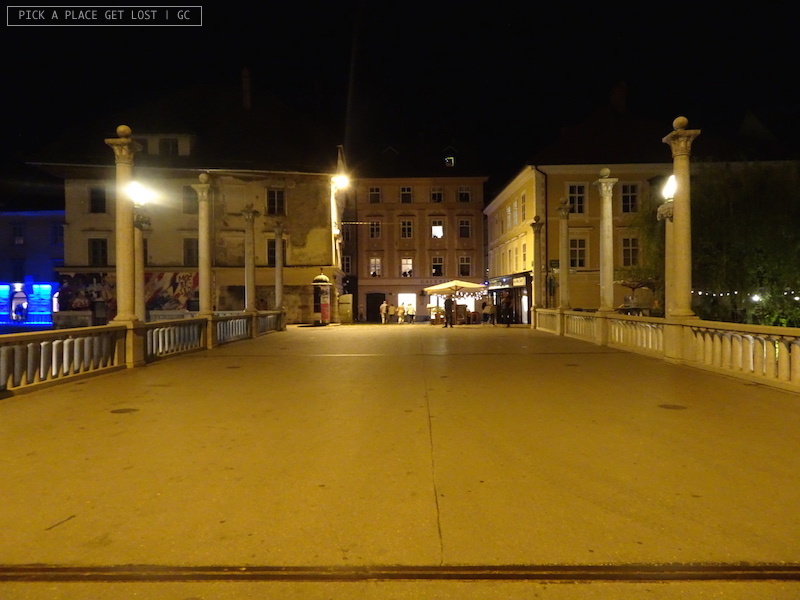 This one is by far my favourite Ljubljana bridge, and it offers what I consider the most beautiful river view of all. Ljubljana doesn’t get more lively and colourful than that. The Central Market (partly covered) covers quite an extended area at the foot of the castle hill. 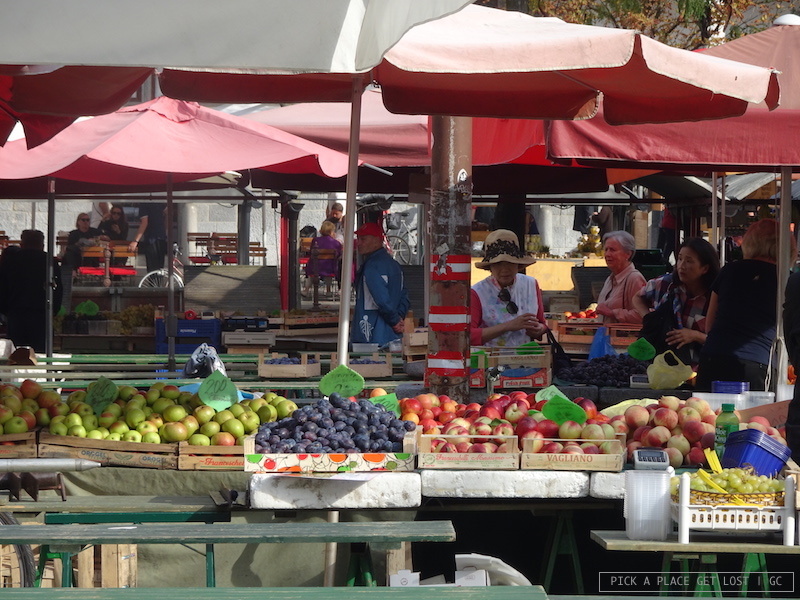 In, fact, it includes the area on Vodnikov trg and the adjacent Pogačarev trg, where the stalls sell both fresh local produce (fruits and vegetables, honey and cheese, to name a few) and extra items of all sorts. Open from Monday to Saturday, it’s always crowded with locals and tourists browsing its countless stalls. Don’t forget to do the same! 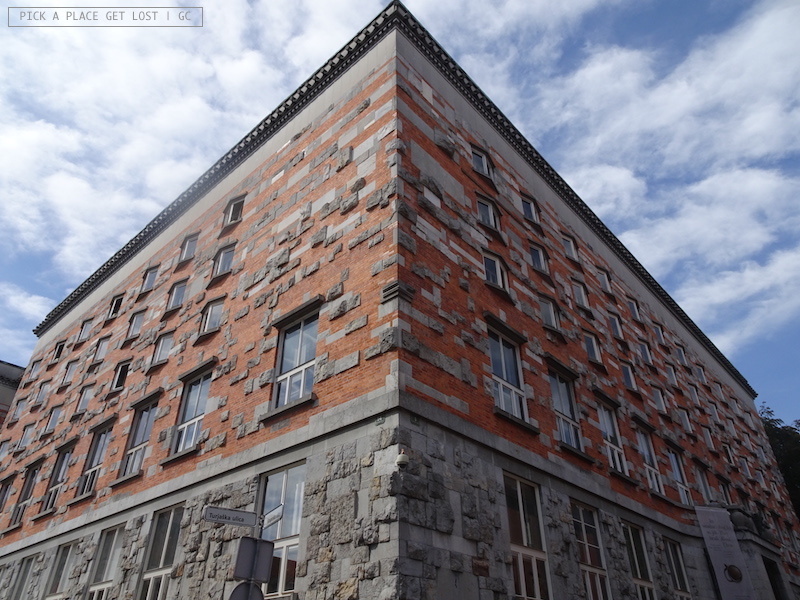 Close to the Central Market is also one of the streets that lead up to Ljubljana Castle, which, needless to say, is one of the top landmarks of the city. Although its current appearance mostly dates back to the 16th century, the castle complex displays quite a diverse combination of architectural styles. 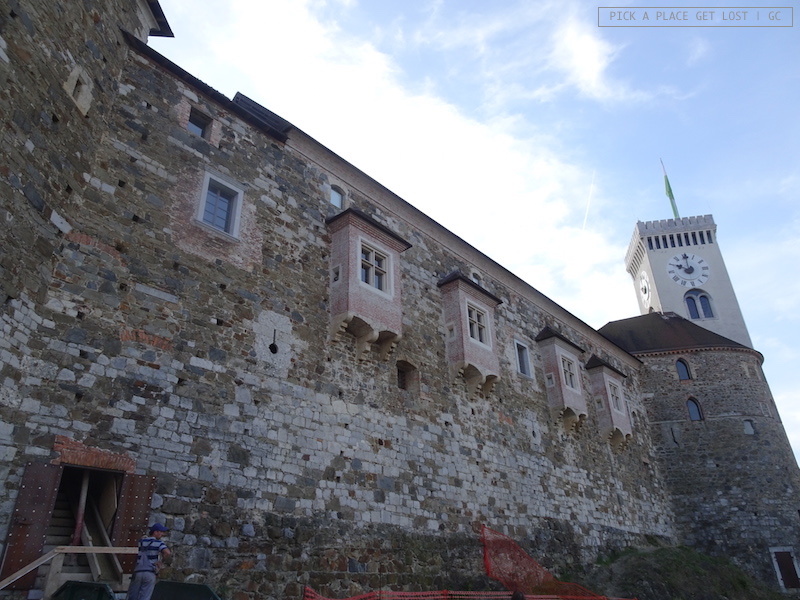 The castle is perched atop a hill in the vicinity of the Old Town (i.e. 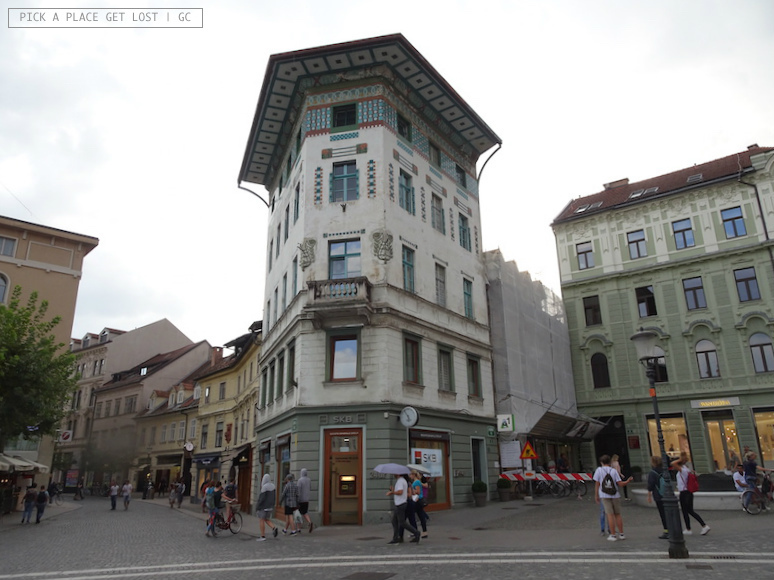 the city centre), which reminded me of both Brno and Graz. The castle site can be accessed from multiple sides of the hill and, if you can’t bring yourself to make the ascent on foot, you can count on the funicular, which departs not far from the Central Market. 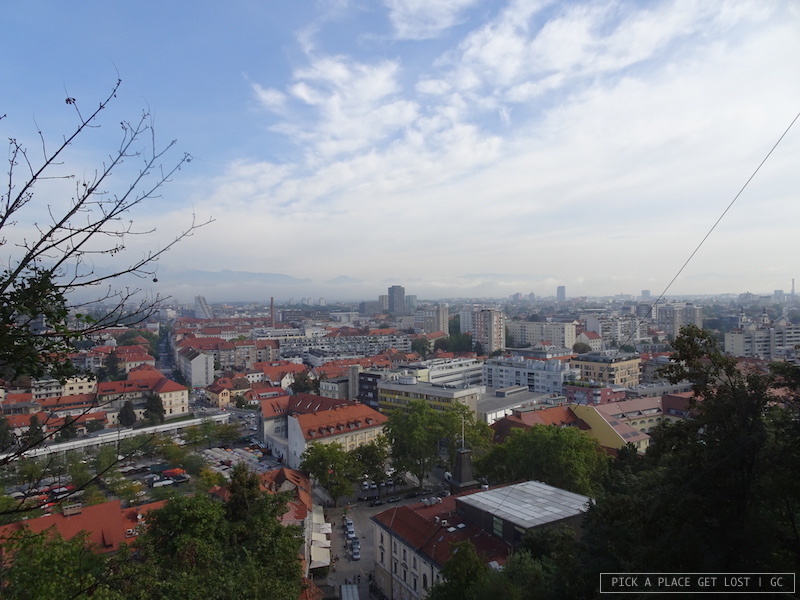 Needless to say, we walked and enjoyed the views of Ljubljana from above as we got closer and closer to the top. You’re free to roam the castle area for as long as you like, while the castle visit itself and the access for the watchtower require a ticket. The permanent collection must be very interesting, and the view from the watchtower must be quite something (to use a euphemism). We had a tight schedule, so we contented ourselves with the outdoor visit, but to head back downhill we took the path on the hillside opposite from the one we’d climbed to reach the top. What a view. 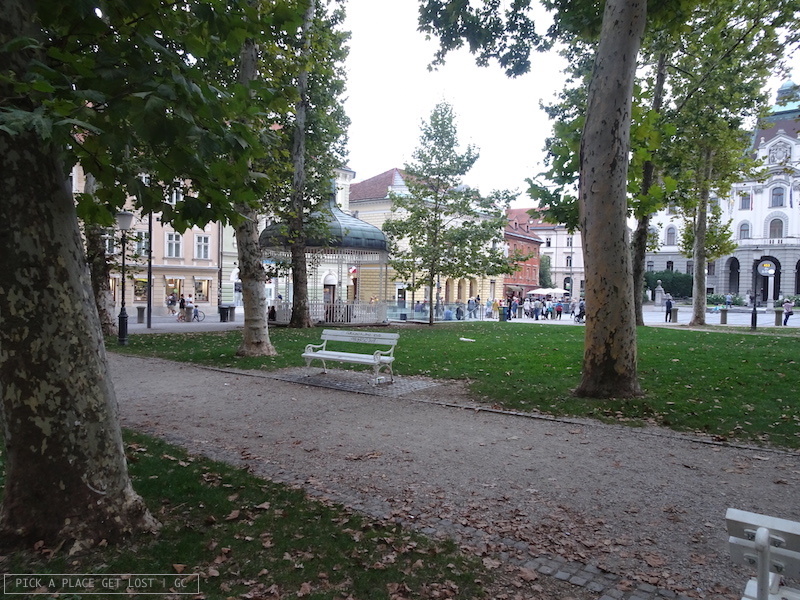 On the left bank of the river, only a short walk from Trojmostovje, you find Congress Square. What makes it beautiful and especially unique is that it’s split in two. Half of it looks like an actual square: airy, spacious, and framed by historical buildings like the Ursuline Church of the Holy Trinity and the Philharmonic Building. 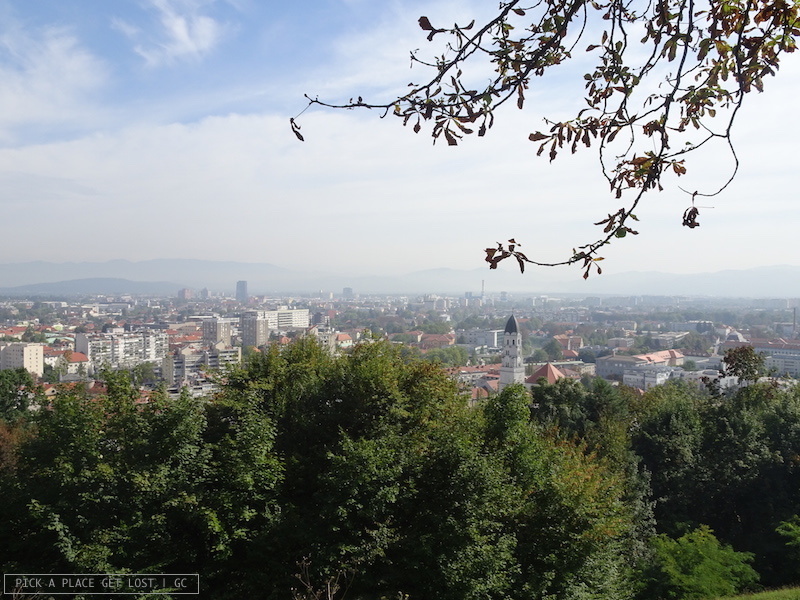 The other half is taken up by Zvezda Park, a green area covered in leafy trees and benches, which make for the perfect break from all the city touring. Well, there’s quite a lot of them, so yes, of course I’ve kind of made a mental shortlist of those I found especially striking. 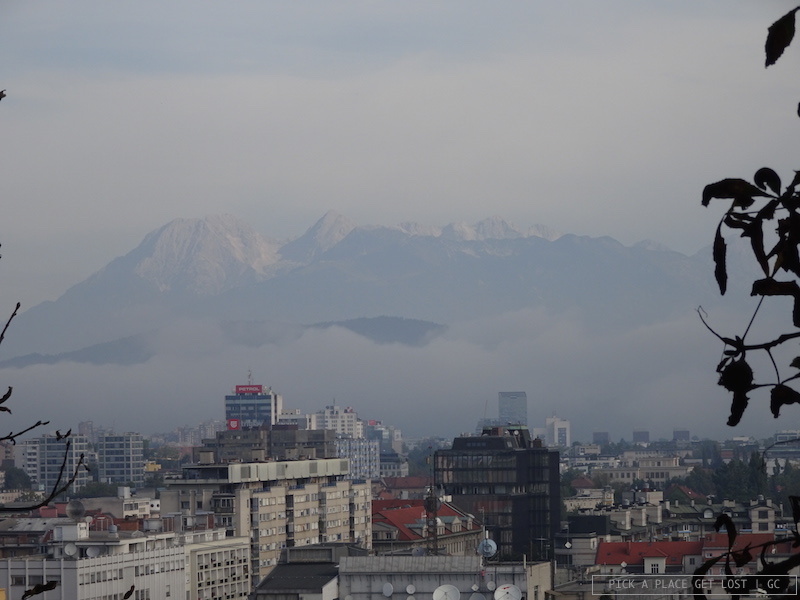 One is the Nebotičnik, which means ‘skyscraper’ in Slovenian and is just what the name suggests. 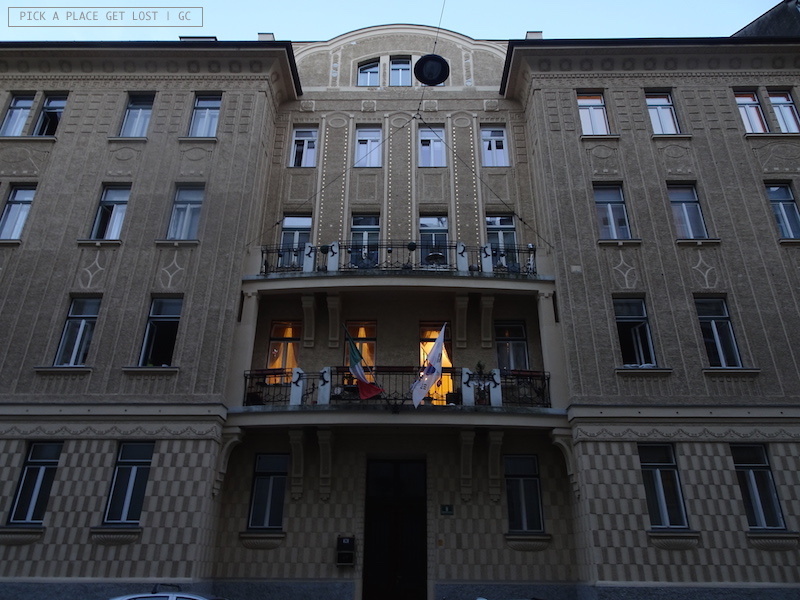 The building was erected in 1933, when it became one of the tallest buildings in Europe. Though its height is probably no longer its most striking feature, its neat polygonal structure still does not go unnoticed. 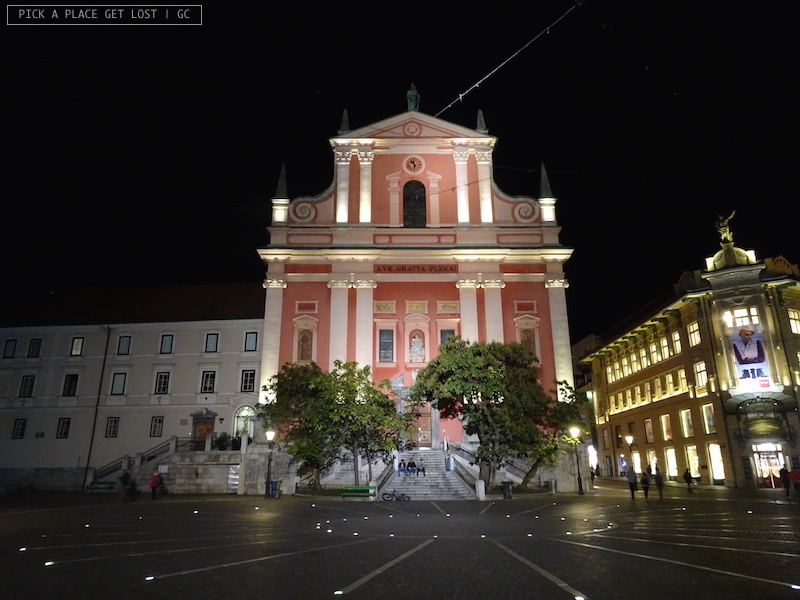 Right behind Prešernov Square you find the Town Hall (Mestna Hiša) and the Cathedral of St Nicholas (Cerkev sv. Nikolaja). They’re very close to each other, and in their current appearance they both date back to the 18th century, though the Town Hall was originally built in the late 15th century. The National and University Library is equally worthy of attention. It’s located close to Cobblers’ Bridge, and you will know when you’ve got there because it’s an impossibly imposing building. I dare you to not ‘ooh’ and ‘woow’ not even once as you stand right in front of its massive walls. 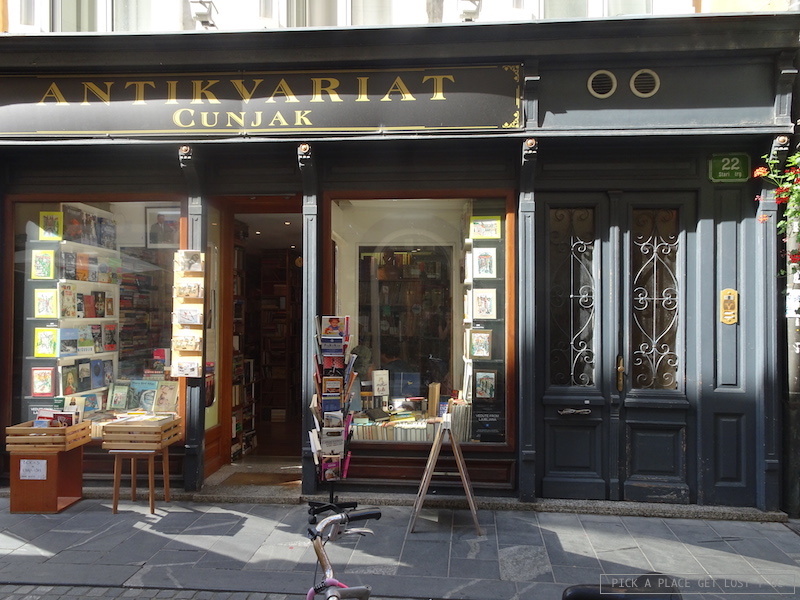 Last but not least, take a walk down Cankarjeva cesta. 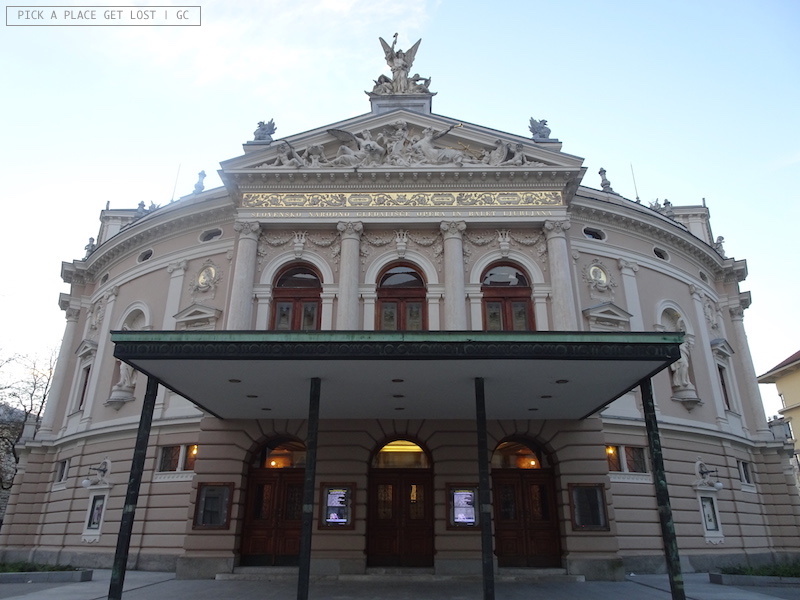 The street is lined up by a number of super elegant buildings (such as the Opera and Ballet Theatre), and it takes you straight to Park Tivoli, the main park in the city. 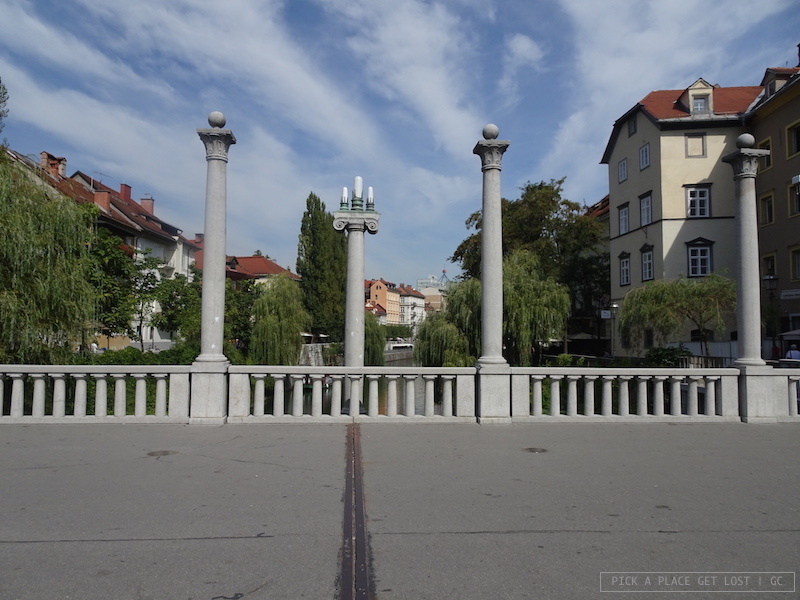 Ljubljana has way too many landmarks and sites of interest for me to be able to include more of them in this post. What is more, I haven’t really visited any of the museums or galleries that make up its rich cultural scene. 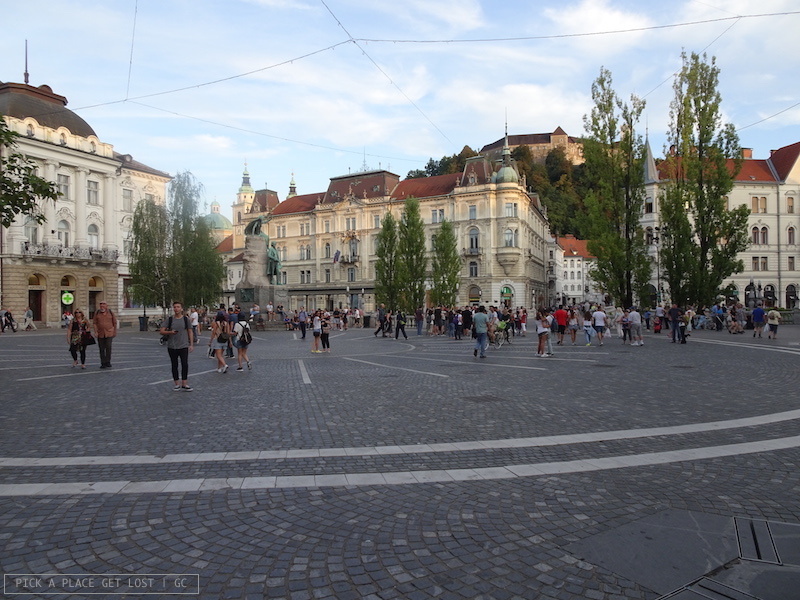 Overall, we spent less than two whole days in Ljubljana, so we tried to walk as many of its streets and enjoy as much of the urban landscape as we could. In Ljubljana the outdoor beat the indoor. And it looked marvelous all around. 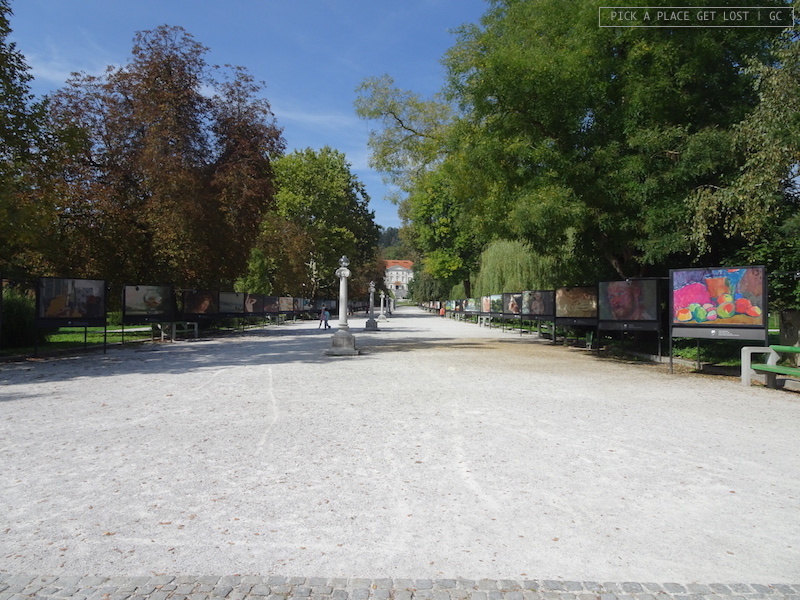 This entry was posted in Slovenia On The Road 2018 and tagged capital, ljubljana, road trip, sightseeing, slovenia by Giorgia. Bookmark the permalink.